The Outstanding Teacher Programme (OTP) is for teachers who are consistently good and have the potential to become outstanding. The OTP empowers teachers to consistently deliver high quality teaching and learning. Through practical and interactive development sessions, participants will build confidence as they generate ideas and strategies on how to improve their practice. Raise levels of engagement and achievement in learning. 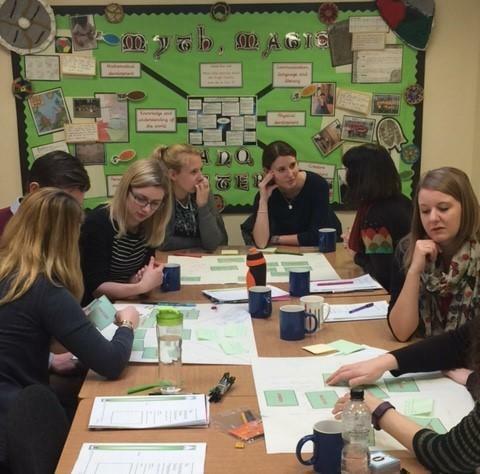 Develop a common language to discuss teaching and learning. Use different teaching styles to challenge learners. Raise performance in the classroom by encouraging creativity and developing more innovative practice. Demonstrate a higher level of understanding of teaching. Be able to coach colleagues to raise performance. Each programme comprises seven sessions over nine weeks (mixing full and half days). Within this there are linked practical ‘In-school’ tasks which take place in your own and another participant’s school. The OTP is facilitated by outstanding primary practitioners through face-to-face sessions and classroom observations. Participants focus on a range of aspects of teaching and learning such as challenge, engagement, assessment, differentiation, questioning and planning. There are linked practical tasks back in participants' own schools including applying what has been learned through observation. There is an expectation that participants will attend all of the sessions. Participants will be required to complete the post session challenges and will require time to complete these tasks between sessions. Participants will be expected to present back to staff in their own setting following the completion of the programme. Heads of schools will be expected to complete an evaluation of the presentation. The impact of the programme on participants' schools will be jointly evaluated approximately six months after the completion of the programme. £650 per delegate. All resources and refreshments will be provided. Lunch will be provided on all full day sessions, as well as on the last day. Venue: Blackpool CE Primary School, Newton Abbot. Please use the booking form on the right hand side to book a space. Thank you.